The bottle does appear to work with the current state of the brand. 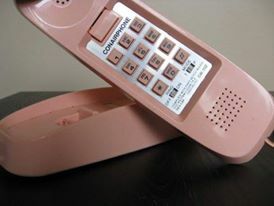 As of what Gucci is under Alessandro’s direction, it’s very, very Gucci…and also very 80’s Conair phone meets Almond-shade refrigerator. Now let me get to what is inside since that’s what is important! The first few times I tried Bloom, yes, running through airports in Europe, I liked Bloom. I didn’t love it. I thought it was like many other things in the “clean white floral” genre. After wearing Bloom under better circumstances, I can tell you that I enjoy it much more than I ever thought I would! Gucci Bloom is a white floral. It opens with a clean, humid jasmine and tuberose. The good news – it’s not heavy. My first impression was that I thought Bloom was clean, almost soapy. After it wearing it, I will say I was wrong. Bloom is a fresh, heady, humid jasmine, tuberose and honeysuckle. It’s a big ‘ole white floral with a sheerness that makes it feel more modern. The heart adds an earthy element – a faint hint of white button mushrooms and orris/iris. Because of the faint mushroom-y note, I’m reminded of gardenia. The dry-down is a warm musk, coconut oil and a scattering of white petals. It sounds corny, but the base makes me think of sunshine after a quick, heavy rain shower in some place lovely and tropical. It’s like those rays of light illuminating dewy tuberose blossoms. I really like Bloom but I have so many other things like this – original Marc Jacobs, original Michael Kors, Shanghai Tang Spring Jasmine, Diptyque Do Son, Avon x Cynthia Rowley Flower. But, I still want a bottle of Gucci Bloom. In comparison, it feels slightly more updated/modern than what I own. Not that this would apply to you guys, but I when I wore those clean white florals during a time of my life that I’ve outgrown. Bloom is everything I like about an airy white floral without any of the baggage. (This won’t apply to you, but I’m sure you can relate to “outgrowing” a perfume/genre). Give Gucci Bloom a try if you like sheer, pretty white florals. Or perfumes like the original Michael Kors, Diptyque Do Son, Kim Kardashian, Nishane Tuberóza and/or Gucci Flora Gracious Tuberose. Or any of the ones that I already own and mentioned above. Projection and longevity are average. FYI – there’s really nothing better than wearing Bloom on a mild, rainy day. There’s something about the humidity that really makes Bloom wear like you’re hearing rain on broad banana leaves or the rustle of large palms. It’s like a lovely, romanticized version of thunderstorm in the most beautiful garden in Mexico. 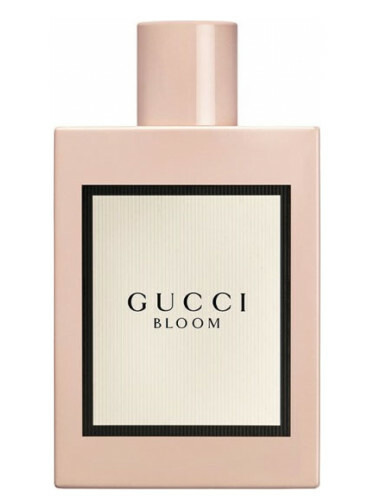 Gucci Bloom comes in a few sizes with the 1.6 oz retailing for $94 at Sephora and Nordstrom. Victoria’s Final EauPINION – Fresh, humid jasmine and tuberose. It’s on my to-buy list. I don’t *need* another thing like this, but I enjoy wearing it. If I go by cost-per-wear, I think I’d get a lot of mileage out of Bloom. ¹I like many Gucci fragrances (i.e the über tacky Rush and the balsamic Gucci EDP) but it seems like the perfumes went through an identity crisis (as did the brand). I just don’t get how one jumps from Gucci Envy flankers to Guilty like that. ²I love how something like Elie Saab Le Parfum fits with the elegant, romantic Mediterranean vibe of the brand. Or how Mugler’s crazy perfumes are an extension of their crazy couture. *Sample obtained by me. Product pic from Fragrantica. 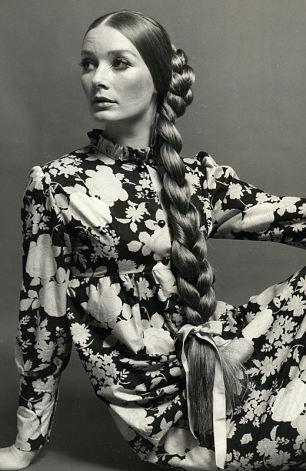 Tania Mallet pic from www.fanpix.net. Post contains affiliate links. Thanks! I’ve only smelled this in magazines but it takes me right back to 1972 and a perfume my Dad bought me called Chevrefeuille by Corday. Of course it’s long been discontinued. I cannot wait to try Bloom in person soon and travel back in time! This isn’t even my memory and it makes me want it even more! The rollerball for this is $34! That seems a bit high. I hope this isn’t the beginning of brands realizing that most people don’t want to commit to full size bottles and then upping the price of rollerballs to compensate for that. OK, so I just had a rant with a friend about this very thing today. #1 Everything is so expensive with perfume that it’s not really that fun anymore. You can’t try a new brand because you don’t know if a full-size bottle is going to be $100 or $400+…it’s usually $300+ now. That’s ridiculous. #2 Exactly your comment. Designer brands have had price increases too but usually offer sizes so there’s an entry point for a lot of people. I think they *have* seen an increase in rollerball/travel size sales and are upping the prices because of this. I think it’s a mix of people not committing but also because most of us are poor or don’t have the budget for $100+ impulse buys. There was a lot more said, but hey, that’s the key points. Your summary sounds pretty spot on. I’d like to hear what else was said! The other thing that makes perfume not fun anymore, at least for me, is the amount of releases. It feels like there’s another 50 new perfumes released every week. If I feel like I can’t keep up then I’m no longer going to care. I feel like so many things that I loved and was passionate about 10 years ago I just don’t care about anymore. But I’m getting off topic. Gucci and all the others need to check themselves! I can’t keep up and I blog. I have an advantage of people sending samples and/or press releases. AND I still can’t keep up. Not even a little. And I stopped caring. Every year, I do the “Good, the Bad and the Ugly”, but I didn’t this year. I have no clue what was launched in 2017. There was so much, so many new brands, so many flankers…it’s overwhelming. I do this because I like it and with a gazillion perfumes launched in a year, that’s overwhelming. Trying to keep up made me unhappy so well, f that. There are other sites that do a great job of keeping up with new. I just want to talk about what I want to talk about. Anyway, yeah, I don’t know what their numbers or motivation are really like. My feeling is that $30ish is a magic entry-level price point and that’s what they are offering. Sort of off subject and also dating myself: About 10-15 years ago I worked at a department store for a popular perfume house/makeup (OK, it was Guerlain). Since I was in school full-time too, I worked weird-ish hours and I’d also work their perfume counter since they were beside each other (and the perfume folks had regular 9-5 hours). I learned A LOT about perfume then. But, that’s not what I’m talking about. Anyway, about 10-15 years ago, you could buy the 1 oz of ANY designer perfume for about $30-$40. That was the entry-level but you also got a lot more. OK, that was years ago…inflation, etc. I get it. Things go up in price. But, here’s the deal. I talked to an old friend I worked with there (a manager) and she said told me the hourly wage of someone doing that now. I made MORE of an hourly wage 10-15 years ago than someone that started now (with same amount experience). So it’s not like wages are going up and we can now magically afford $135 designer perfumes. (Also, a 3.4 oz back then was ALWAYS under $100, more like $80). Anyway, ‘Murica. Yes, income stagnation and the consistent rise in the cost of goods in this country is a real problem. Like you said even 10 years ago the ratio was more doable than it is now. I don’t know if we’ll ever have a correction but we’re definitely due for one. Past due. Hate to go on that tangent, but it’s depressing and it does infiltrate little things, like roller-balls and perfume! Argh, I still haven’t tried Bloom! I almost never go perfume shopping in person, and it’s not like I can buy a sample of this from Luckyscent. It does sound like something I will like though. And I really enjoy the bottle. If you have a chance, I can tell you that it is much more impressive on skin than on paper. Something about it doesn’t really translate onto the paper (like the paper devours it). BUT, I’d only spray it on skin if you can handle white florals. It’s very white floral heavy. I noticed they are already launching flankers (which I mean, what did I expect?). The flanker bottle is really pretty too (green floral sticker). I only get my department store samples with orders from like Sephora. I really do wish there was some outlet to buy them because I don’t like sniffing in person (too overwhelming). I like having the time to try them distraction-free. Bloom is a perfect example. I didn’t like it in store, loved it later when I got to try it on my own. Previous Post The Lipstick League – Week of 2/19/18 – Where Do You Makeup?